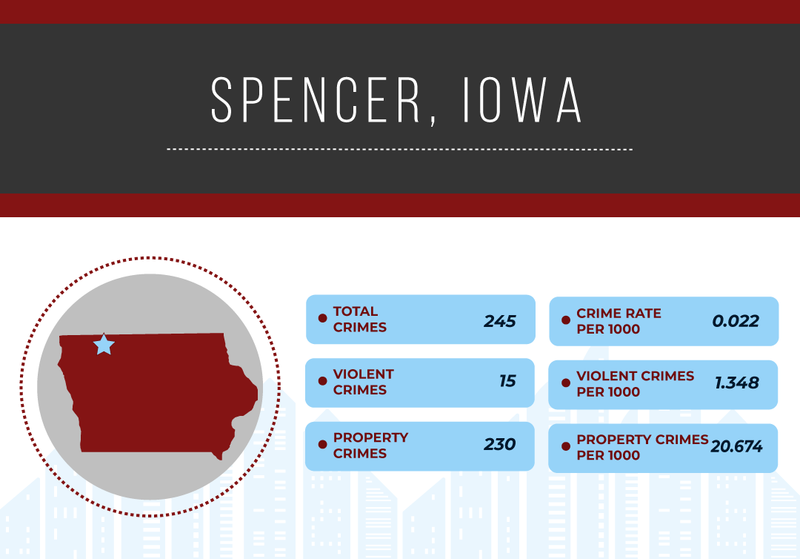 Iowa – A Midwestern state that was part of the famous “Louisiana Purchase” from Napoleonic France. Today the state’s flag continues to be a link to the French tricolor and history. Until as late as the 1980s, Iowa’s population was predominantly rurally-based and engaged in agricultural work. A farming crisis in the 1980s caused major economic hardship in the state and led to the development of today’s more diversified economy which includes manufacturing and biotechnology. Although it still has a reputation for being an agricultural center, manufacturing now generates more of the state’s income. Iowa has a violent crime rate that is over the national average with a ratio of 1.11 based upon 3.84 crimes per 1,000 versus a national average of 3.47 (making it the 31st safest state in violent crime terms). By contrast, its property crime levels are below national averages being 28.27 per 1,000 compared to the national average of 40.43 – giving a ratio of 0.70. 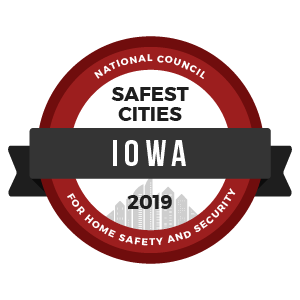 To identify the safest cities in Iowa, we reviewed the most recent FBI Uniform Crime Report statistics. A total of 7,639 cities were factored into this ranking with populations ranging from 7,639 to 4,007,147. However, we eliminated any cities that failed to submit a complete crime report to the FBI and removed cities with populations under 10,000.